The Onon River is a source of the Amur River, listed as internationally important site. It is obvious that the Amur River will be impacted if the Onon River is polluted or contaminated. Meanwhile, the Onon River basin is a historically important site, namely a birthplace of Chinggis Khan. Therefore, the basin is valuable ecologically and historically. That is why, gold mining must be avoided and prevented in the basin. 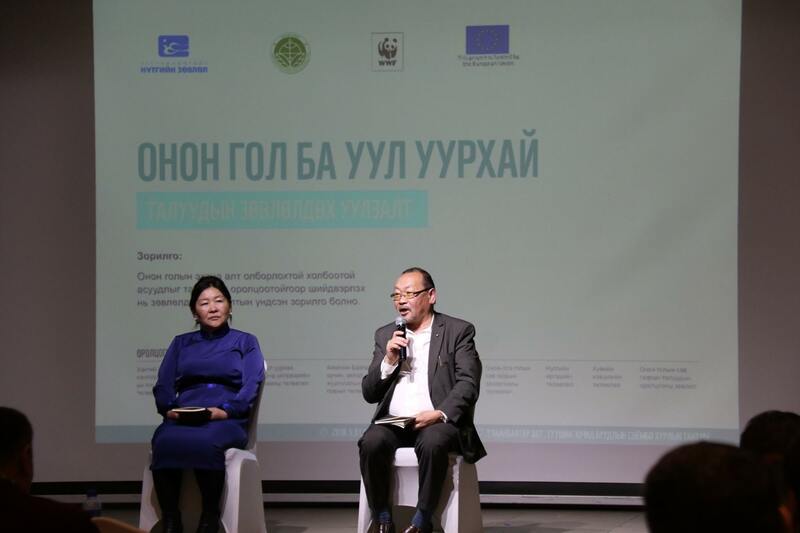 WWF-Mongolia and Local Council of Khentii province organized a consultation meeting “Onon River and Mining” to resolve the gold mining to be started in upper area of Onon River through stakeholder engagement. The meeting was attended by over 70 individuals including the Parliament Members elected from Khentii province and representatives from the Ministries of Environment and Tourism and Mining and Heavy Industry, the provinces Environment and Tourism Office, the Governors and Heads of Citizen’s Representative Khurals of the soums along Onon River Basin, Onon-Ulz River Basin Administration, and local communities. 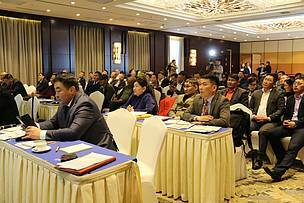 The concern discussed on the meeting was related to the Gutai gold deposit located in a territory of Batshireet soum of Khentii province to be mined by the “Pegmatite Mining” company and a protest by local people. This gold mine is located in upper area of the Onon River. If mining takes place at this deposit, the river and its basin ecology will be lost. Moreover 20 thousand of local people residing within the basin will have no a drinking water source, but considerable amounts of ecological damages in the basin. The meeting participants openly discussed about many other pressing issues such as and agreed to forward a request on making head of the river free of mining to the Government. The request addressed to: immediate termination of mining licenses issued to Onon River basin; set aside the region under state protection through submission of a proposal to the State Great Khural (the Parliament) for approval; follow-up actions for designation of Onon River basin as one of the tourism regions in accordance with the Governmental policy and the Khentii Aimag’s Governor’s Action Plan; and ban mining licenses to Gutai area which is a source of the Onon River and supports water and forest resources in the basin. The concern discussed on the meeting was related to the Gutai gold deposit located in a territory of Batshireet soum of Khentii province to be mined by the “Pegmatite Mining” company. The meeting participants openly discussed about many other pressing issues such as and agreed to forward a request on making head of the river free of mining to the Government.